This Statue of Liberty Costume is a stand out from the crowd patriotic expression! 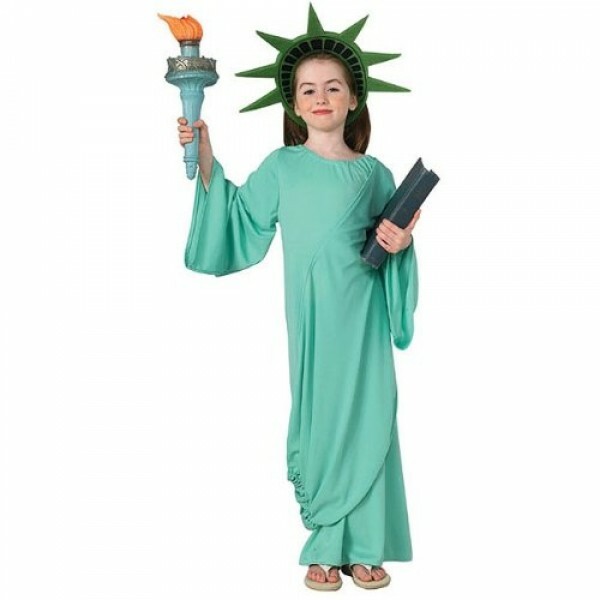 Costume includes a headpiece and a dress with drape. Please Note: Costume does not include torch.